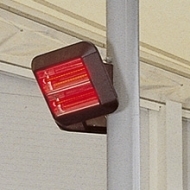 An extensive range of outdoor heating solutions suitable for a number of external heating applications. These heaters provide long lasting performance with an attractive modern design and are perfect for outdoor dining areas or seating areas. 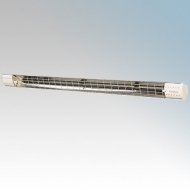 Quartz heaters are the energy-efficient choice for heating areas where it would not be practical or cost effective to raise the overall ambient temperature. 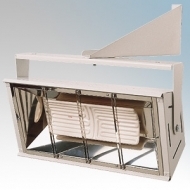 Used with auto controls, they provide a low-cost heating solution for hard to heat zones. 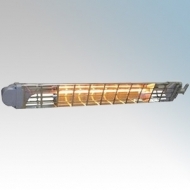 • By producing a highly directional beam of heat (just like the Sun), these heaters only use the minimum energy needed to heat the chosen area without waste. 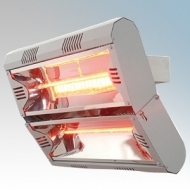 • The short wavelength at which the heater emits energy ensures maximum effect is felt instantly, making them perfect for infrequently used areas or where pre-heating a whole building is impractical. 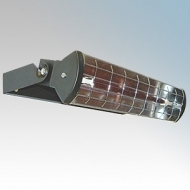 • Additional auto controls make these heaters economical for ‘zone’ heating within factories and warehouses, and for ‘on demand’ heating in community halls and public buildings where usage may be unpredictable. • Radiant heat effect allows high heat-loss buildings to be heated. A small, compact quartz heater, ideal for spot heating in smaller areas. This 1.5kW slimline quartz heater is part of the popular Quartzzone range offering the same inherent benefits as other Quartzzone quartz heaters. 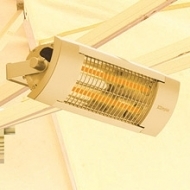 The VARO1800 is a radiant heater capable of mounting internally and externally due to its IP65 classification. Comes with a wall mounting bracket and is capable of being suspended via chains. 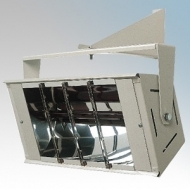 The product is also supplied with flying lead to speed up installation. Using long-wave infrared technology, these radiant heaters use ceramic elements to radiate heat with no distracting light output. Perfect where robust radiant heating is required, these heaters provide a heating effect just like the sun. 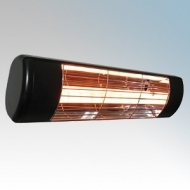 Offered in vertical (2 x elements stacked) or horizontal (2 x elements side to side) formats, these models are ideal ‘people heaters’ without the light output of other radiant heaters. Now available with passive movement sensor for auto control over use. Ideal for medium to high level spot heating. 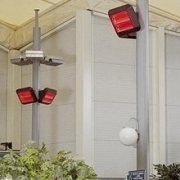 These long-wave infrared heaters gently radiate heat energy directly onto the area and personnel to be heated. A metal sheathed element adds to their robust construction and makes them the ideal choice for a variety of installations. 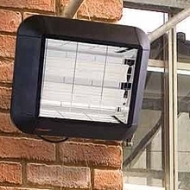 Sunzone can be wall, ceiling or trunking mounted and each unit is supplied with a pair of metal brackets which provide angular adjustment for directional radiant heat. It is recommended these units be installed via a Residual Current Circuit Breaker.